Every homeowner can attest to the importance of protecting their home. Although many are aware of the potential destruction of disasters such as fires and storms, there is less knowledge overall about the significance of home water leaks. In fact, according to Bloomberg’s article, “The Hidden Property Danger Lurking in Your Home,” almost half of all property damage losses in 2015 were due to water leaks. 1 in 50 homes have water leaks or frozen pipes each year. If you’re leaving for an extended period of time, ask someone to stay in or check on the home periodically. 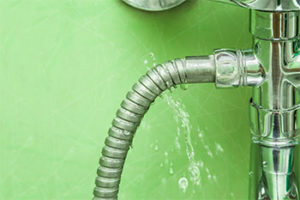 Routinely check the home’s appliances for potential leaks. Turn off the main water supply when you leave for an extended period of time. Clear out your home’s gutters regularly. Inspect your home’s roof regularly. Regularly replace the batteries in your water leak sensor device. Always inspect your sump pump, and keep a battery-powered backup. Schedule annual maintenance for your backup generator, and routinely ensure that it’s in working order. Device sensors: installed near water-using appliances, these devices are triggered by water near them, and they will sound an alarm. Centralized system: attached to the home’s main water line, these devices monitor the amount of water flowing into the home, triggering the main water shut-off valve if necessary. Combination system: this system can sense when water is near it as well as control the home’s water shut-off valve. Additionally, sump pumps can be a beneficial addition to any home. They are designed to drain excess water to another point far away from the home, preventing foundation damage. Homeowners who take the steps to install a device, or simply just inspect their water supply regularly, have a much higher chance of stopping a leak in its tracks. Don’t let water damage your home—be proactive and stay aware! O ral wellness is the foundation for overall health, so regular visits to the dentist for checkups and cleanings are fundamental to making your smile last and preventing tooth decay and gum disease. Even if you don’t have any symptoms, dental exams are important to make sure your teeth and gums stay healthy. And if problems do occur, they’ll be easier to treat. Current or former smoker? Lost a tooth? Have diabetes? You could be at higher risk for periodontal (gum) disease, tooth loss, or even mouth cancer. Delta Dental makes it easy to measure your risk with a quick and easy online self-assessment in the Your Oral Health section of www.deltadentalma.com. See a dentist regularly. Doing so can help ensure that problems are taken care of before they become more serious and expensive. Choose a dentist who belongs to your plan’s network. Switching from a dentist who isn’t in the plan to one who is enrolled will likely save you money. Take advantage of any exams, teeth cleanings or X-rays your insurance may cover. 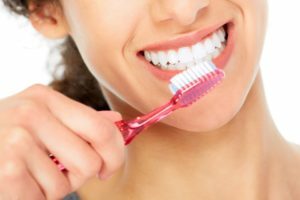 Getting regular dental checkups, such as cleanings and exams, will help prevent dental complications or worsening of dental problems such as cavities. Become a partner in your dental health. Tell your dentist about yourself and your concerns, and ask questions about caring for your teeth. Make sure you also understand any treatment options your dentist recommends. Many contractor businessowners face the question of what to do about employees that moonlight at night and on weekends. 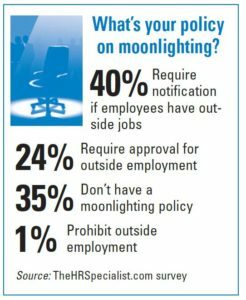 Does allowing employees to moonlight put a business in harm’s way? It could. When an employee moonlights, they are taking on the same general liability, workers compensation, and auto exposures as the employer. Even if the employee carries their own insurance, their actions may be increasing the employer’s liability and future insurance costs. If a moonlighting employee uses the employer’s vehicle which is still dressed with the employer’s logo, and is using the employer’s tools, could the customer state that they thought they were working with the employer after a loss occurred? 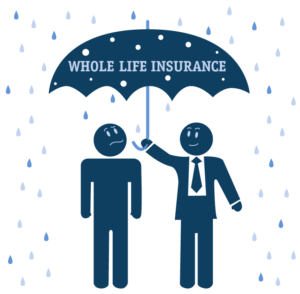 Since the moonlighting employee might have little or no coverage, it is conceivable that the customer might look to the employer for coverage for damage done by the moonlighting employee. If so, the employer’s general liability, commercial auto, or even workers compensation would respond to a claim filed against the employer. When the commercial general liability policy is examined for its wording, there are several troublesome areas. The first is the definition of an insured; it includes employees acting in the scope of their employment. This is not great wording in terms of your own protection. Second, the definition of your product includes products traded or sold under “your” name. If the employee is there with the employer’s truck, logo and knowledge, could an attorney-an insurance attorney at that-make a case to pull the employer in? Is this a bet worth taking? As a contractor with claims experience knows, the process can be unfair, and it can cost significant future premiums while the argument is going through court. The fact that the employer allowed moonlighting to occur makes a strong argument for vicarious liability. If the employee got hurt while moonlighting, it could potentially pull the employer’s workers compensation in. If the employee worked for a few hours the next day and claimed that the injury really happened on the employer’s job, the employer’s workers compensation would be forced to prove the employee was not working at his or her job at the time of the injury. This could prove to be quite difficult and the employer’s workers compensation may end up paying the claim. If the employer’s vehicle is being used with the employer’s permission, the commercial auto and possibly the umbrella would definitely be involved in a claim should there be an accident. Equip company vehicles with GPS monitoring so the employer can see when a vehicle is in use after hours. There have been several reported cases of GPS monitoring even identifying employees that moonlight while on duty for the employer! Leave all company vehicles, tools, and uniforms at the employer’s business location each night. This may require the employer to provide a changing area and cleaning service. Employees should know that their personal homeowner’s insurance provides no liability for their business pursuits. From both the employer and the employee’s point of view, moonlighting is not a good idea. The good news for employers is there are options to help reduce moonlighting. A possible solution may be to offer employees commissions for business they bring in. They could also offer discount pricing for the employees friends and family. These two options would help satisfy the employees desire to increase their income and alleviate the pressure of helping their friends and family after work.